If you are planning a visit, want a taste of local culture, or simply looking for a good laugh, then this app is perfect for you! Photo Gallery: You are sure to be impressed as you navigate through beautiful shots of local scenery in this extensive gallery. All these stunning photos are worth the download alone! Must see places/towns: Features must see places across the island by region (Eastern, Western, Central). All listings are accompanied by a brief description, along with a map feature for easy navigation. Festivals: Lists tons of popular summer festivals that you won't want to miss out on. Includes a brief description of each event and a map for easy navigation. You're from where? : Newfoundland is known for the many humorous names of its towns & villages, for example "Virgin Arm" and "Famish Gut". This fun section includes 50 of the funniest names, plus a map feature. Join the many tourists who stop to get a photo taken next to a funny sign! 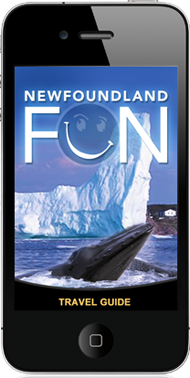 NewfoundlandFUN is available in a deluxe version in addition to a lite version. The lite version gives you access to the entire app with a sample of the data. You can upgrade to the deluxe version at with an in app purchase at anytime to receive all the content.